The way Kevin Bidner sees it, the hotel industry has been stuck in the ’60s for far too long. 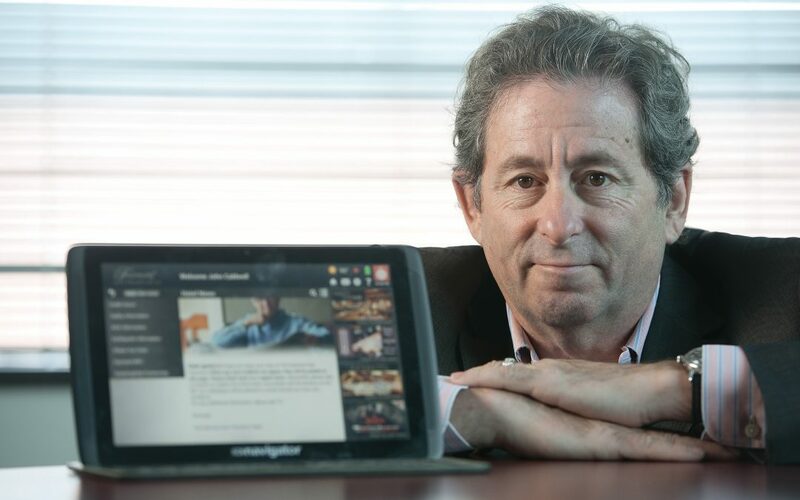 Aside from the odd change, such as the addition of free WiFi and larger, flatter TV screens, the amenities travellers find in today’s rooms aren’t much different than those their fathers and grandfathers were offered decades ago, the Ottawa entrepreneur says. Mr. Bidner and his partners are out to change that with technology they say is set to revolutionize the hotel industry. Their company, Hotel Communication Network, makes computer tablets that offer guests instant access to an array of information and services from online food ordering to last-minute tour bookings. The Ottawa-based firm recently achieved a milestone when it locked up deals with four of the world’s largest hotel chains – Fairmont, Hilton, Hyatt and Marriott – at their biggest properties in San Francisco. Before the year is out, HCN’s tablets will be featured in more than 7,000 rooms in one of the most-visited cities in the United States. But Mr. Bidner, the company’s CEO, says HCN’s foray into San Francisco is just the beginning. The firm is also making inroads in Chicago, where its tablets can be found at major brands, including Hilton, and is planning on rolling out its technology in a third U.S. city before the end of 2016. HCN has faced its share of roadblocks since the idea was first hatched more than a decade ago, but Mr. Bidner believes the company is finally on a sure path forward. “We were going into an industry that’s quite averse to technology,” he says. “It’s been many, many slow steps to get up to where we are today. We’re still just climbing the mountain to the point of the breakthrough, which is kind of imminent now. The hotel industry has been burned in the past by technology it thought would enhance the guest experience but never found favour with the public, says Mr. Bidner. For example, some hotels tried to offer guests access to information and amenities such as room service via television, while others launched mobile apps. But neither of those routes ever achieved an adoption rate of more than 10 per cent, he explains. In contrast, he claims more than 80 per cent of guests in rooms that have HCN’s tablets use the devices multiple times during a visit. Even in screen-saver mode, the tablets continue to show information such as popular shopping destinations or last-minute specials on tours that have unsold seats. The company is now launching other innovations, such as an app that will give users access to a live concierge service anywhere in a city, and Dine-In, a feature that lets guests use the in-suite tablet to order food from nearby restaurants and have it delivered for less than the cost of room service. The company says one of its biggest keys to future success will be its ability to generate revenue from a wide range of sources. HCN leases its tablets to hotels at a monthly rate of $1 to $5 per unit, depending on which services properties choose to offer. The firm also believes there is big money to be made from advertising – the firm’s patented technology allows trade-show exhibitors to target campaigns to specific rooms where convention visitors are staying, for example – as well as service fees from partners such as restaurants and tour companies. Hotels also see massive potential value in the information they gain about customers who use the devices because they now have a way of tracking exactly what types of services each guest is looking for. “As a hotel, we can very strategically market certain elements to our guests that are meaningful to them,” says Bernd Pichler, director of rooms at the Fairmont San Francisco, which has an HCN tablet in each of its 592 units. HCN’s technology allows hotels to get instant feedback from guests on what services they like and don’t like, he notes. It also makes it easy for managers to immediately alert customers to urgent situations such as fire alarms or nearby road closures, eliminating the need to slip paper notices under every door. “There’s no (other company) out there that does the same thing,” says Mr. Pichler, who has helped advise HCN on ways to improve its product. The devices are now found in 12,000 rooms in Chicago and San Francisco and will be installed in 3,000 more before 2016 is out, Mr. Bidner says. By 2020, the company expects its tablets to be a fixture in 270,000 rooms across the United States and tens of thousands more around the world. Mr. Bidner predicts that kind of market penetration will fuel major revenue growth. “The leaders are coming towards us now, and it’s a follow-the-leader industry,” he says confidently. Originally launched in 2005 and funded by a mix of venture capital, government grants and the founders’ own cash, HCN has doubled its headcount to 35 in the past year and is about to move out of its current digs on Lancaster Road to a larger office just down the street. Although he believes HCN is on the verge of becoming an international powerhouse, Mr. Bidner says the company will always remain true to its roots.